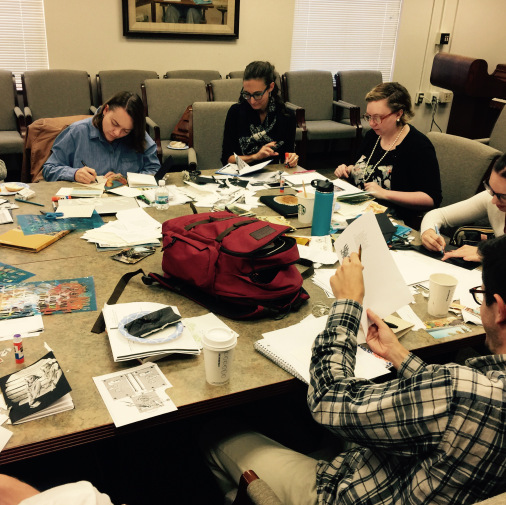 Miami University was proud to welcome Kelcey Parker Ervick to campus to teach her sprint workshop on Hybrid Genres and Literary Collage. Check out her blog to see how the course went, see our graduate students in action, and learn more about Ervick’s hybrid writing practice. 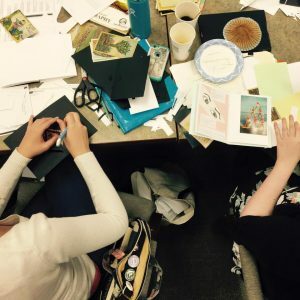 This entry was posted in Uncategorized and tagged collage, community, Creative Writing, hybrid, Kelcey Parker Ervick, MFA, Sprint Workshop on November 7, 2017 by monroec2.